Gatsby Orchestra in The concert hall of Opera Studio to Baku Music Academy buy tickets online. Delivery of tickets for the event Gatsby Orchestra. 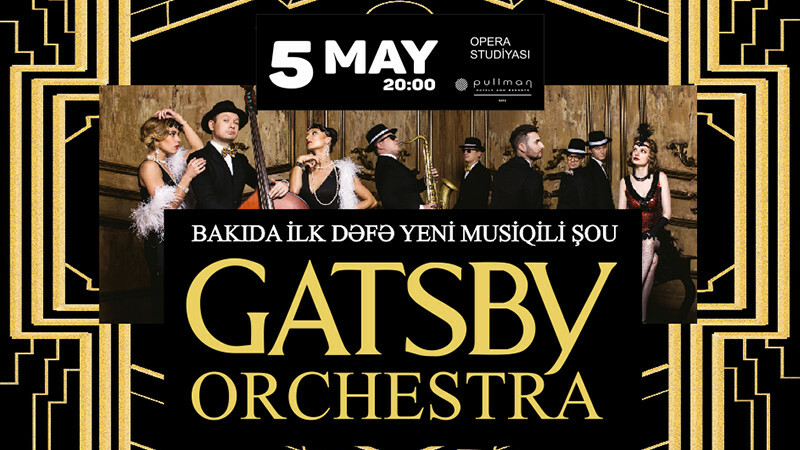 The GATSBY ORCHESTRA music show will be in the Opera Studio’s stage for all the fans of electric swing, jazz and postmodern on 5th May in Baku. Their music creates an atmosphere of status parties in the style of Gatsby, Sicilian Mafia, Moulin Rouge, Burlesque. This event is exactly what you need if You want sparkling fun, incediary rhythms of swing, stunning dances and excellent mood as well as calm and tranquil atmosphere.